Blog Israël in de media: Wat heeft UNESCO ooit voor de Joden gedaan? UNESCO is sterk pro-Arabisch, zoals blijkt uit onderstaande voorbeelden. Jammer dat een organisatie met zo’n belangrijke taak voor politieke campagnes wordt misbruikt en daardoor haar taak verzaakt, namelijk het beschermen van cultureel erfgoed, ook van Joden. The only reason why the shrine of Ezekiel has not yet been turned into a mosque is opposition from the Heritage and Antiquities authority in Iraq, which would rather see Ezekiel's tomb become a tourist site. Since neither the Wakf nor the Iraqi government has any money to spend on Ezekiel's shrine, the stand-off continues. We have drawn up a petition asking for UNESCO to prevent the site being turned into a mosque and declare the site a World Heritage site. Tekenen dus, al is de kans niet groot dat het wat uit zal halen. What did UNESCO ever do for the Jews? The Palestinians are celebrating their admittance to UNESCO. They are stepping up their political and cultural campaign against Israel and could now demand membership of 16 other UN agencies. Predictably, the leftists of The Guardian are deploring President Obama's decision to withdraw US funding from UNESCO. This comment by Zamalek garnered at least seven recommendations before it was removed on 2 November from the Guardian Comment is Free website. It is hard to understand in what way the comment violated CiF's guidelines. Perhaps it contained too many uncomfortable truths? "It is quite obvious that the Palestinians wanted membership of UNESCO to further their political and cultural war against Israel. "Since the 1990s, Arafat engaged in a campaign of deligitimisation against Israel, denying the Jewish connection with Palestine, pretending that a Jewish temple never existed in Jerusalem, digging priceless artefacts out from Temple Mount and appropriating Jewish holy sites as Muslim. Thus Rachel's tomb in Hebron was renamed the Bilal-al Raba mosque after some minor figure in the Koran. "The Arabs have been waging this revisionist campaign to erase the Jewish character of holy sites, not just in Palestine but in Iraq, for instance. 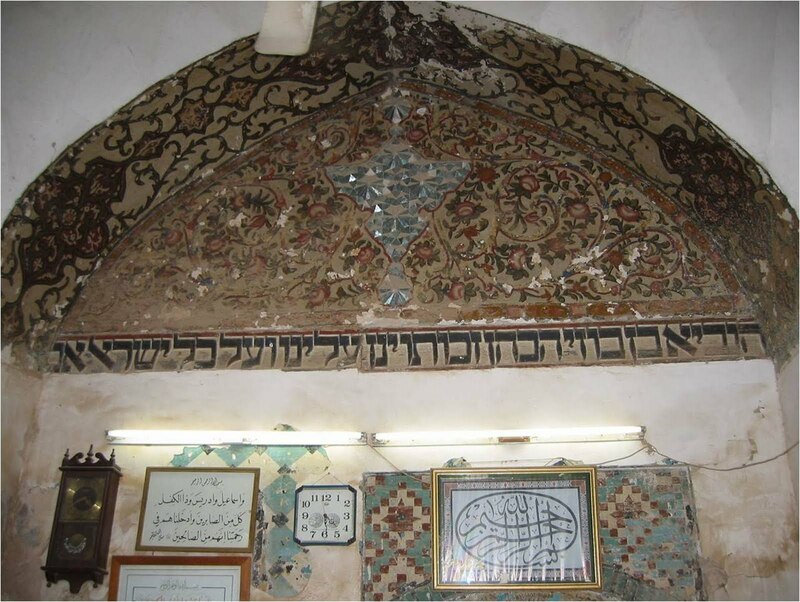 An Iraqi journalist recently pointed out that the Jewish shrine of Ezra the Scribe near Basra had been turned into a mosque although it had never been considered holy to Muslims when he was a child. The Shia Wakf would dearly love to turn the Jewish shrine of Ezekiel, with its ancient Hebrew inscriptions, into a mosque.
" Jews from Egypt have been denied access to their communal records and a Jew was recently barred from entering a synagogue in Libya on the grounds that it was a national archeological site. Synagogues and holy sites all over the Muslim world have been seized, allowed to fall into rack and ruin or converted into mosques. "And where has UNESCO been all this time while the Jews' priceless cultural and historical heritage is being destroyed? It is just a willing player in the Arabs' cynical political game." Calls from Egyptian Jews for UNESCO to take over the Jewish communal archives have gone unheeded. UNESCO has been silent on the uncontrolled vandalism of Temple Mount in Jerusalem and the destruction of artefacts testifying to the Jewish Temples. UNESCO has been silent on the destruction of Joseph's tomb in Nablus. In fact the only thing that UNESCO has done for us is to designate Tel Aviv's White City as a World Heritage site in 2003!